This the first of a new three-part series in which Antonio Negri, a leading political thinker of our time, explores key ideas that have animated radical thought and examines some of the social and economic forces that are shaping our world today. 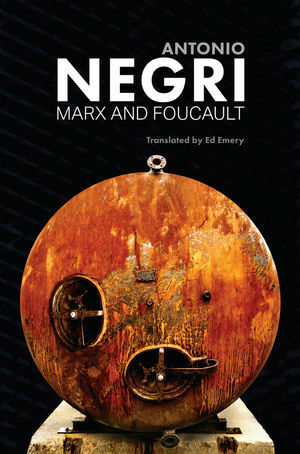 In this first volume Negri shows how the thinking of Marx and Foucault were brought together to create an original theoretical synthesis - particularly in the context of Italy from May ’68 onwards. At around that time, the structures of industry and production began to change radically, with the emergence of new producer-subjects and new fields of capitalist value creation. New concepts and theories were developed by Foucault, Deleuze and Guattari and others to help make sense of these and related developments - concepts such as biopower and biopolitics, subjectivation and subsumption, public and common, power and potentiality. These concepts and theories are examined by Negri within the broader context of the development of European philosophical discourse in the twentieth century. Marx and Foucault provides a unique account of the development of radical thought in the late 20th and early 21st centuries and will be a key text for anyone interested in radical politics today. 5. Is it possible to be communists without Marx?